Beyerdynamic is one of those highly praised companies of yore that has been consistently in the headphones business. To be more specific, in the best over ear headphones business. They have always had the tendency to win over the hearts of audiophiles with their subtly sculpted headphones, durable construction and extremely fulfilling sounds. The beyerdynamic DT 770 headphones are one of those best noise cancelling headphones without any ANC technology powering up in their underbelly. The headphones look modest enough from the outside but there’s a fire breathing bass head lurking beneath. While the highs and mids are somewhat on the iffy side, these headphones are quite amazing for bass lovers with tight and distortion free thumps clearing up the space for the rest of the music. The beyerdynamic DT 770 headphones are definitely built on the high standards of any beyerdynamic headphones. They look like they have been cast out of a single block of granite and feel similar as well. 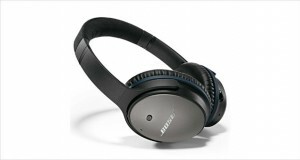 However, the weight is comfortable enough for listening for long hours without any problems. The circumaural design, on the other hand, can make it a little difficult for people in warm climates to adjust to the DT 770. Black steel headband and rock solid hinges and joints make this one tough little pair of headphones. The headband pad and the ear cushions are easily replaceable without much of a fuss and this translates into a longer lasting pair of headphones in general because you would not want to replace these just because the pads are worn out or some other little excuse like that! Very light and hugely accommodating with the ear cups, the ear cushions are coated with velour to minimize sweat build up that would be the main concern of those suffering under the yoke of over ear headphones. The clamping force is not too high and the headband pad offers an additional lessening of pressure. The highs are not very bright or revealing, and neither are they accurate. They get the job done without being extremely amazing at it, and there is little to be said on this matter. A little recessed because of the fact that these are closed circumaural headphones, but the accompanying soundstage is very open and easy on the ears. 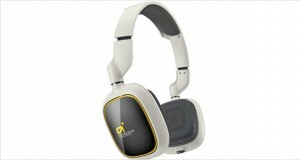 These are champion headphones with the bass with little distortion but huge sounds. Perfect for bassheads who like the thump when they are at home. The noise reduction is fairly al-right, considering it is not an ANC model – the acoustic seal is satisfactory and cranking up the volume works wonders. The overall performance of these cans is tending towards the great-for-the-price grade, with minor troubles in the highs and mids. 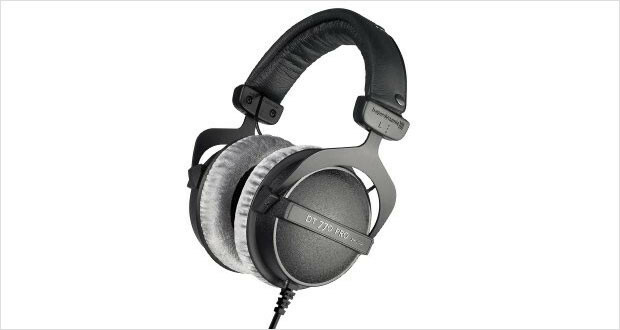 Well made, well balanced with the sound and a serious shot at the competition with such names as Denon, Audio Technica and Senheissers, the beyerdynamic DT 770 headphones are premier cans that sounds great off the box and continue to get better. However, if you are looking for accuracy and not a well-sculpted sound signature you should look elsewhere. For others, the price is just too tempting to pass up these well-built cans.